Ice streams are corridors of rapid ice flow draining the ice sheets. They can exhibit astonishing spatial variability on annual to centennial time scales. We propose that changes in the subglacial drainage of meltwater could induce these sudden rearrangements of ice streams. We develop a two-dimensional, thermomechanical model representing an ice stream cross section and couple it to a plastically deforming bed with spatially variable meltwater influx. 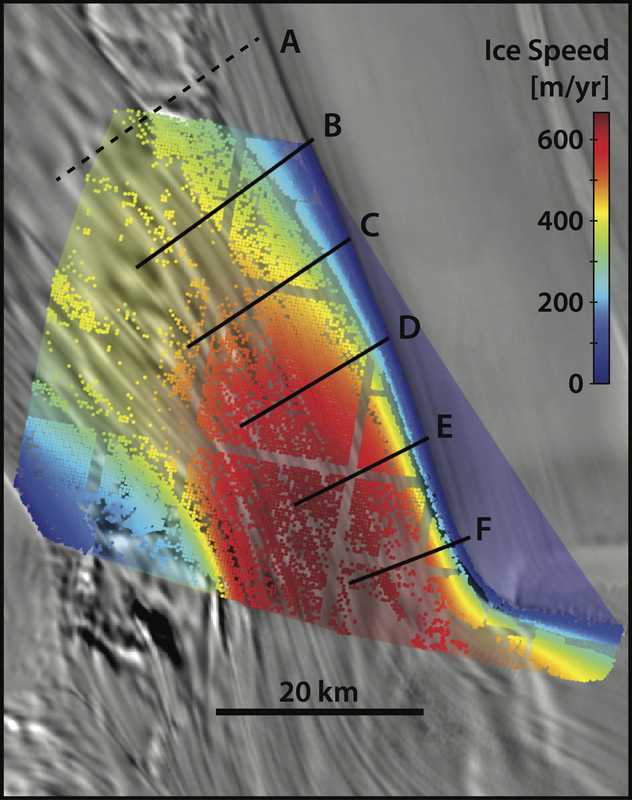 We find that where ice flows over deformable sediments and lacks significant topographic control, the efficiency of subglacial water drainage exerts direct control on the velocity, location, and width of ice streams. This implies that meltwater percolation at the meter scale could have a significant effect on the short-term variability in ice loss from a continental-scale ice sheet. We verify our model against previous analytical results and validate it against surface observations from the Siple Coast of West Antarctica. © 2017 Cooper W Elsworth powered by Jekyll + GitHub.